Another obituary today, this time for Joseph Pevney — another name you know but don’t realize that you know. You know? You’ve seen his name many times in the credits of a certain television show which seems this month to carry a curse. Joseph Pevney, who directed some of the best-loved episodes of the original “Star Trek” television series, has died. He was 96. Pevney loved the series, said his son, Jay. “He was surprised at the longevity of it because it was not a popular series at the time; it hit its real popularity (in syndication) after it was over,” he said. 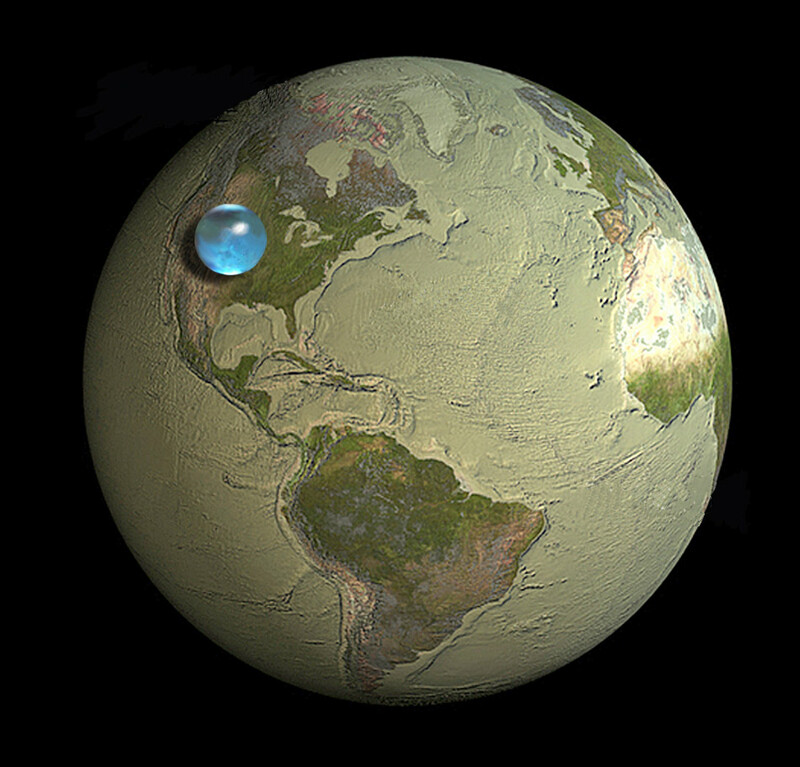 This is what it would look like if all the water on this planet was gathered up into one drop. And there isn’t any more being made, folks.